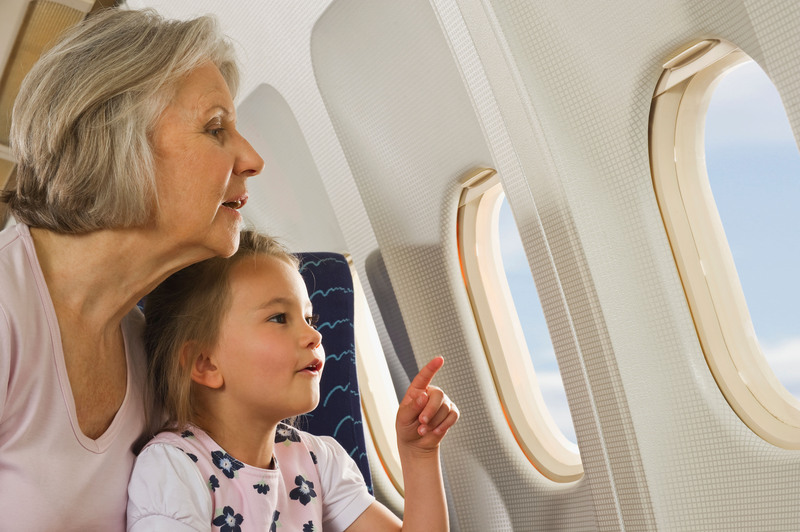 A4A member airlines recognize the importance and value of musical instruments to their customers. Delivering our passengers – and their valued belongings – safely and on time is our highest priority. The Department of Transportation (DOT) recently adopted a new regulation (effective March 6, 2015) concerning the carriage of musical instruments. In general, small musical instruments can be transported as your one carry-on baggage item if there is room in the overhead compartment or under the seat when you board and the instrument can be stowed safely. Before flying, we recommend that you contact your airline to discuss your instrument travel plans. One factor to remember is that smaller, regional aircraft can have limited overhead compartments. Also, it probably goes without saying, but be sure you invest in the right case for your instrument, whether you plan to carry it on or check it as cargo. To assist you in understanding airline policies, listed below are links to the pages on our members’ websites that explain their policies. Baggage Policy Standard carry-on policy applies. 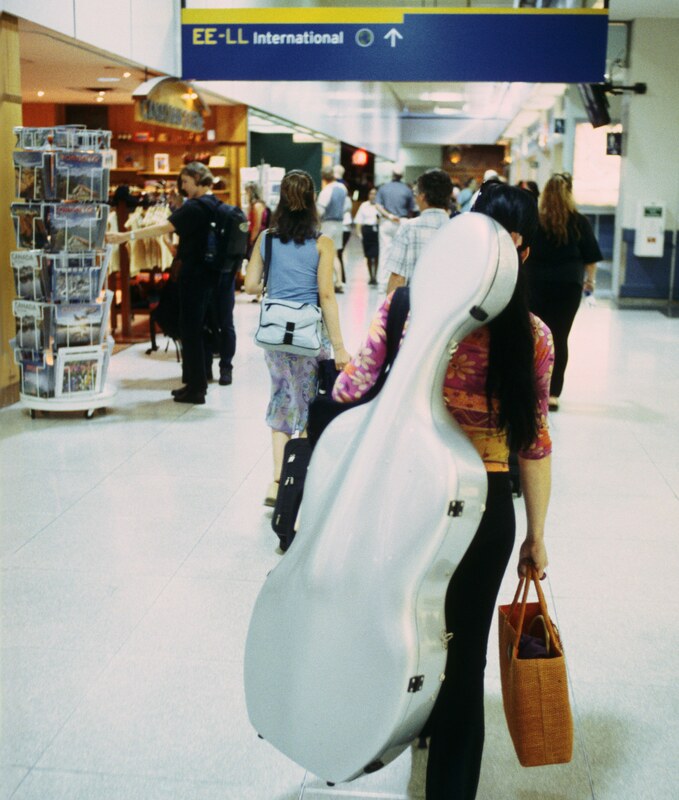 Large musical instruments may be accepted as cabin seat baggage with purchase of full adult fare. Standard checked bag policy applies. Instrument Policy A musical instrument may be taken onboard as your one carry-on bag, regardless of its size, as long as it can be safely stowed in an approved carry-on stowage location and space is available when you board. Instruments that are too large to be stowed in an approved carry-on stowage location, or are too fragile to be checked may still be taken in the cabin and transported in a passenger seat if certain requirements are met, including purchase of a ticket for an additional seat. Musical instruments can be checked as baggage. Liability for damage to checked instruments is limited under certain conditions explained on the AA website and in the contract of carriage. Baggage Policy Standard carry-on policy applies. Passengers may purchase a seat for their fragile and/or bulky items. Most musical instruments may be checked if certain requirements are met. Instrument Policy A musical instrument is allowed in place of one carry-on item, provided it can be stowed properly under the seat or in an overhead bin at the time of boarding. Musical instruments of a size that prevents the instrument from being handled as normal carry-on baggage will be accepted in the cabin and are subject to certain requirements. A musical instrument will count as one piece of checked baggage and are subject to all applicable baggage fees. Instrument Policy Musical instruments do not have to meet sizing requirements for carry-on items and will be accepted if they can be stowed safely under the seat or in an overhead bin at the time of boarding. 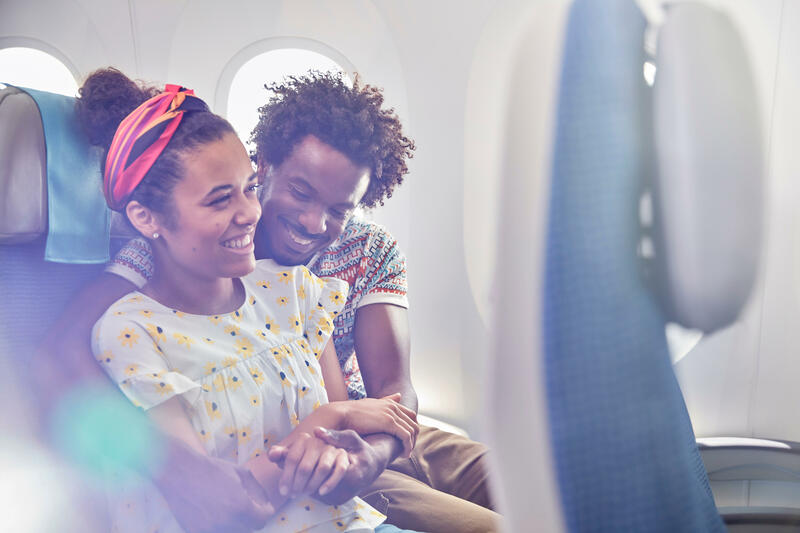 In the event you are traveling with a musical instrument that cannot be stowed safely as carry-on luggage, or is fragile in nature, you may purchase a seat for the instrument and carry it in the cabin under certain conditions. Some musical instruments cannot be secured in a seat and must be transported as checked baggage, subject to applicable baggage fees. 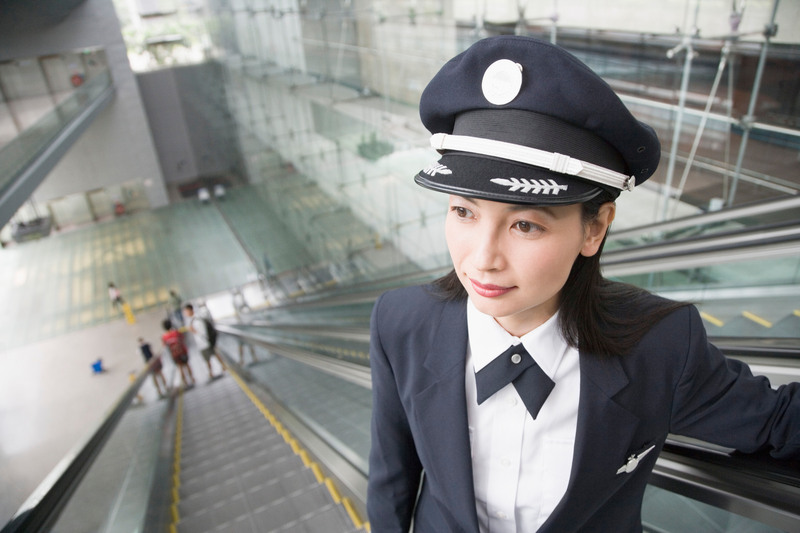 Instrument Policy A musical instrument may be carried on board as a carry-on item if it can be stowed safely overhead or in the seat in front of you at the time of boarding. A customer may purchase a ticket for a musical instrument which is too fragile or bulky to be handled as checked baggage. Upright basses and guitars will not be accepted as cabin-seat baggage. Checked instruments must meet certain requirements, including being packed in a hard-shell case. Have questions that aren’t answered in this post? Check out the DOT’s FAQs!